She is the co-owner of Dr. 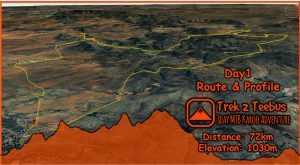 Evil Classic 3 day stage race and the organizer of the biggest single-day mountain bike race in South Africa, the Karoo to Coast. Zandile Meneses is dynamic, full of energy and behind her light easy to talk to persona is an intelligent and enterprising woman. 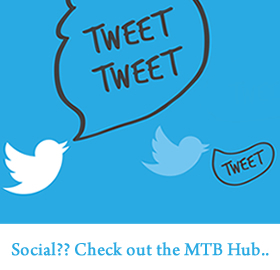 When I point out to her that she is one of the few women in the mountain biking eventing arena in South Africa, she reflects nonchalantly on the statement. 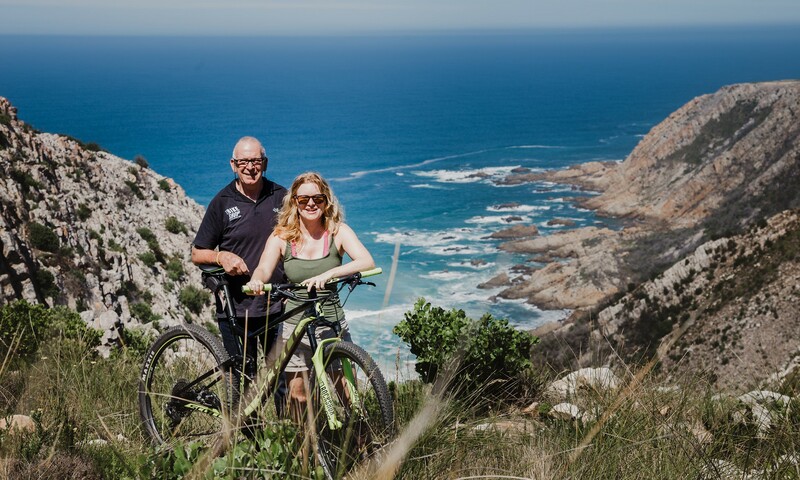 Her love of sport, nature and healthy living originates from her childhood growing up on a farm near Lauries Bay outside Port Elizabeth with a sporty father and creative mother. Sport is a constant in her life and a morning run or swim is the first thing on her morning routine. Nineteen years ago a young and enthusiastic Zandile Meneses returned from travelling and joined the popular Rotary Knysna Cycle Tour team. Starting in a basic role she developed and grew in the organization. 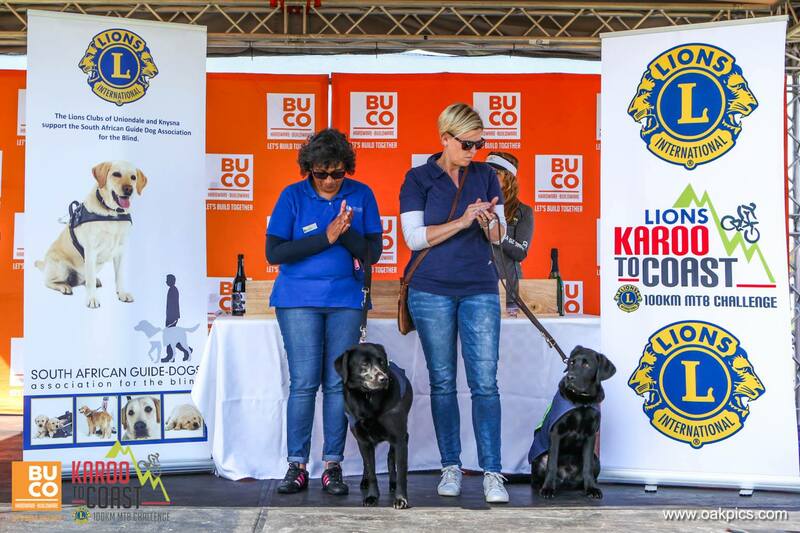 In 2003 she joined the iconic Karoo to Coast management team and under her auspices, she grew the event participation to a maximum of 4500. The race is close to her heart as all proceeds go to charity and with the community Lions organization, the event is one of the biggest fundraisers on the calendar. 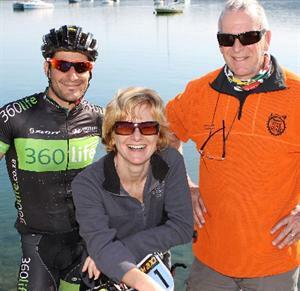 Zandile is synonymous with cycling in the Knysna Municipality having been intimately involved with the Rotary Knysna Cycle Tour and the very popular festival of cycling, the Pick n Pay Knysna Oyster Festival. In 2013 Zandile became the co-owner of the Dr. 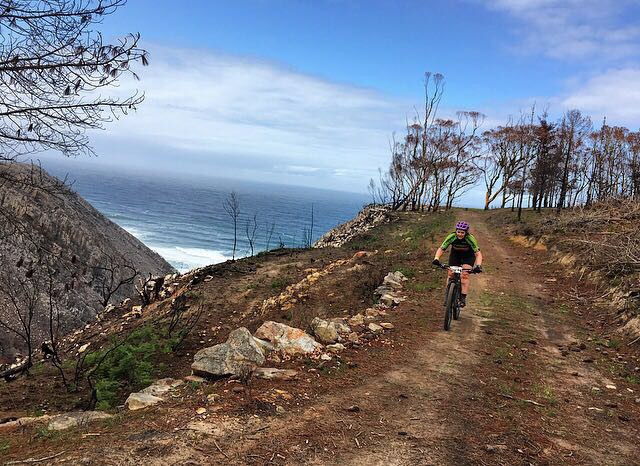 Evil Classic 3 day stage race with Leon Evans, the event has morphed to meet the needs of “all riders”, the race snakes and the everyday rider and in so doing has become one of the most popular events, offering coastal views and forest trails. After nearly 20 years in the industry, Zandile has a realistic outlook on the changing market and believes that event organizers need to continuously innovate, she holds a core philosophy when arranging all events; “Passion for riders and nurturing of riders”. 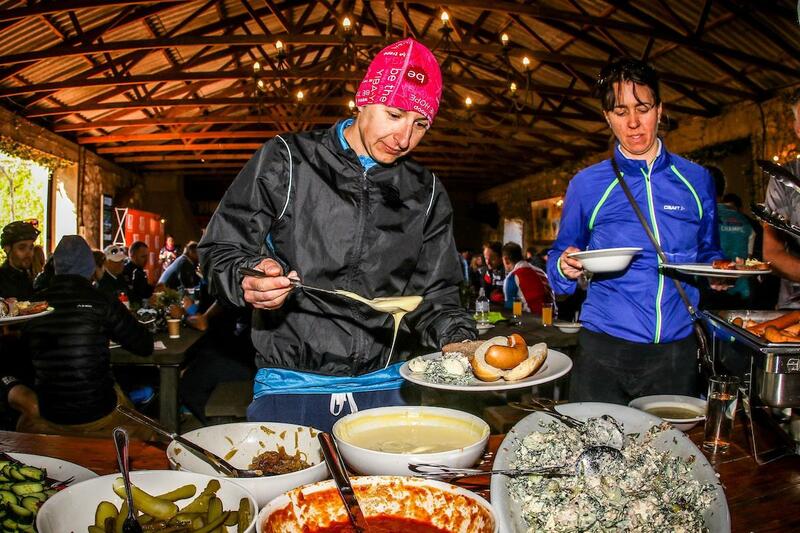 Participating in any of her events you will experience the abundance of spoiling, from goody bags to water points, she does not skimp on the rider experience. Apart from being an event organizer and owner of Owner at Headstrong Productions Event, Operations, and Media Management, Zandile also serves the local community as a mentor assisting with provincial training programs to grow event organizers for the future. Breaking News! 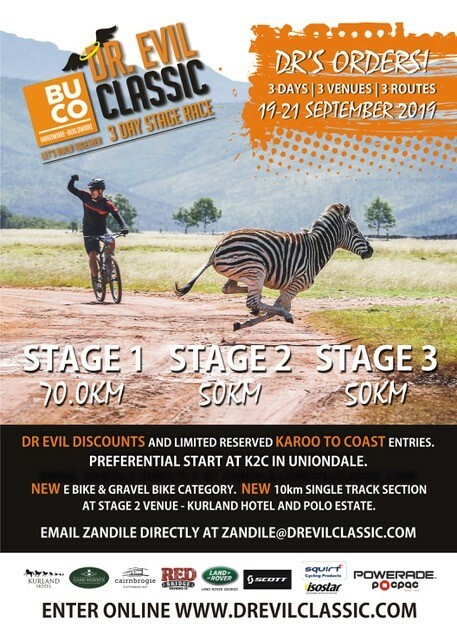 Dr Evil Classic offers two new categories – E-Bikes and Gravel Bikes! 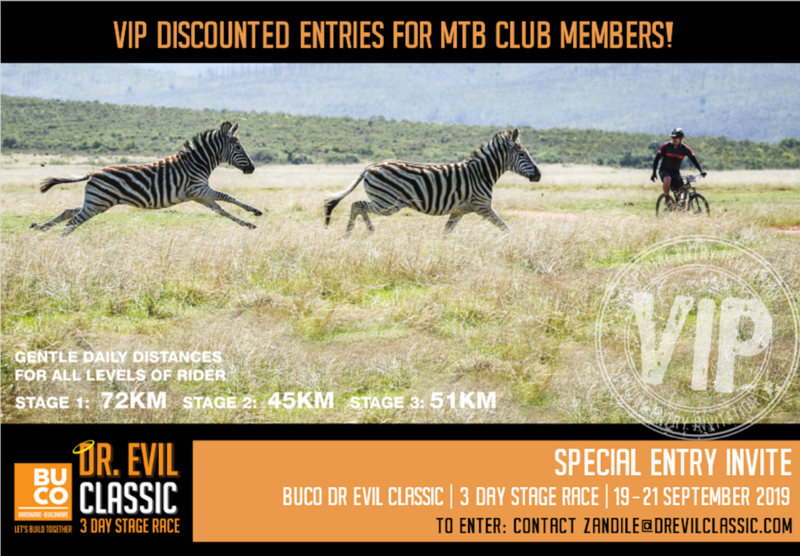 VIP Entries are available for all cyclist who belong to clubs, email Zandile directly. “On my own, I will just create, and if it works, it works, and if it doesn’t, I’ll create something else.